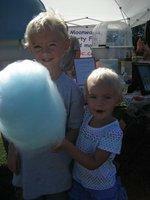 Cotton Candy Machine Rentals with Jumptastic! 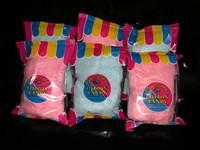 For years, Cotton Candy has been a favorite festival and party treat for both children and adults. 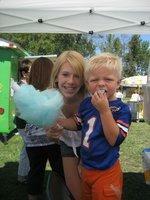 You won't find a more exciting fun food for any Community, School or Religious Event or Birthday Party. 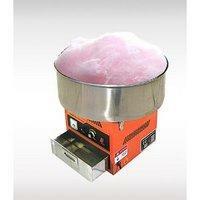 Make your event memorable with a cotton candy machine rental. 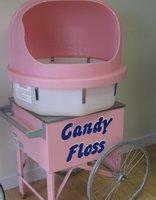 Jumptastic offers a wide slection of Commercial-grade Cotton Candy Machine Rentals - all offering affordability and ease of use. 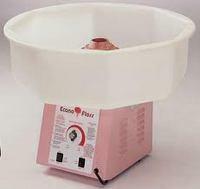 New for 2011 and quickly becoming our best cotton candy machine rental, this commercial-grade cotton candy machine is lightweight and extremely easy to use. 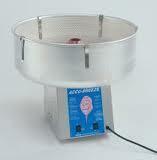 Gold Medal Cotton Candy Machines are the tradition in Cotton Candy Sellers at Events and Festivals, as well as, the Cotton Candy Rental market. ease of use along with higher production capability make it a perfect fit for larger events. 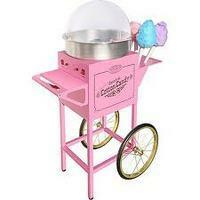 Cotton Candy Machine with Cart Rental is perfect when appearance and/or space is at a premium. 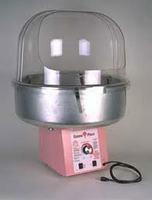 Pink tabletop commercial-grade Cotton Candy Machine Rental makes transportation easy. Pick it up yourself and save $$$. We offer delivery and set-up to all Atlanta Area festival and events, including Children’s Birthday Parties, Summer Camps, Daycares, Churches and Schools. Travel and mileage fees may apply. You can reserve your inflatable fun online 24/7. 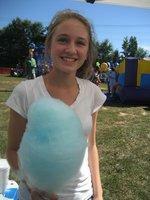 Simply click to enter the date of your event or party in the event calendar to begin. To get some ideas to make your event more exciting, browse through Jumptastic’s vast inventory of Inflatable Rentals, Moonwalk Rentals, Inflatable Slide Rentals and more by clicking here.